Imagine being able to figure out just how much power in your house is being used by the TV, versus the refrigerator, versus the washer and dryer, versus the air conditioning and lights and everything else -- not by attaching a sensor to each device, but through data and analytics. That’s the basic concept behind “energy disaggregation,” or taking some single measure of building power, then studying it to find “signatures” that show when individual appliances or systems are turning themselves on or off, or cycling into different states of power use. We’ve seen a host of technologies aimed at accurately delivering this kind of whole-building disaggregation, usually by measuring fluctuations in household current voltage or frequency from plug-in sensors inside the home. Contenders include an Intel Labs technology now being tested in Texas, another being developed by Belkin via its acquisition of startup Zensi, and another from U.K. startup Navetas, which landed an investment and partnership with smart meter giant Sensus earlier this year. Sunnyvale, Calif.-based startup Bidgely is tackling the disaggregation challenge a bit differently. The startup says its “deep pattern recognition” software can deliver appliance-level energy consumption data, using nothing but the kilowatt-hour measurements of household power use from a smart meter. To prove the accuracy of its analytics, Bidgely -- which means “electricity” in Hindi -- has been working with the Electric Power Research Institute, as well as with Stanford University, on a multifaceted consumer energy research project it’s undertaken for the Department of Energy’s ARPA-E program. On Monday, the company announced its first round of venture funding with a $3 million investment from Khosla Ventures. 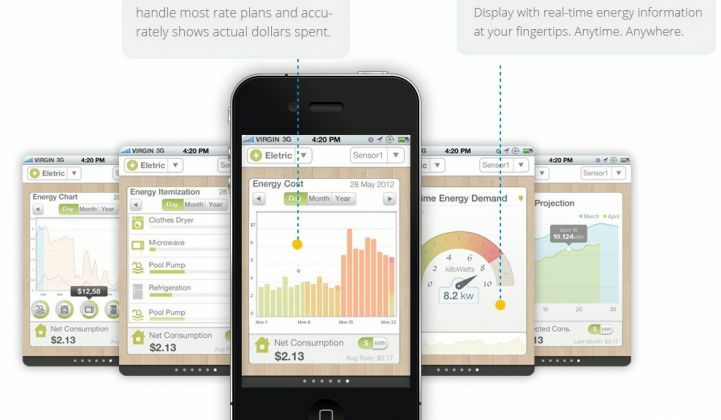 It’s an interesting move from a VC firm that hasn’t invested in smart grid or home energy management. Indeed, founder Vinod Khosla has publicly questioned other smart grid investments, and has specifically questioned whether or not smart meters should be considered a “smart grid” investment at all. Shirish Sathaye, partner at Khosla Ventures, noted in an interview last week that Khosla hasn’t dismissed the value of smart meters. Rather, he said, “We’re saying, smart meters are nice, but they don’t solve all our problems,” he said. Bidgely, with its ability to accurately go beyond meter readings to diagnose specific appliance-level energy issues, could help extend the basic meter-reading function to more valuable analytic capabilities, he noted. The new funding from Khosla will help expand the startup’s work to more partners, as well as allowing it to roll out a series of applications for delivering the insight its analytics engines provide, Prateek Chakravarty, Bidgely's vice president of product sales and business development, told me in an interview last week. “The first application we’ve built is a highly personalized recommendation engine,” he said. The system compares an individual household’s disaggregated energy use to weather, real estate and other datasets to figure out whether a home is wasting energy and, if so, where the waste is occurring (here’s a demonstration dashboard to show some of the options being presented to customers). Bidgely has been testing these abilities with individual households that are using home power sensors like The Energy Detective or Blue Line Innovations, and has also inherited many former customers of Google’s defunct PowerMeter program, Chakravarty said. But Chakravarty said that Bidgely sees some of its greater opportunities coming from partnerships with utilities, or home energy service providers, appliance makers and anyone else looking for accurate data household energy use at the appliance level, all from the utility side of the meter. Utilities, for example, could find Bidgely’s home-by-home insights quite useful for directing the billions of dollars of energy efficiency funding they’re mandated to spend, he said. The same could go for home automation or security vendors, telecommunications providers trying to sell home energy controls as the “fourth play” of their triple-play broadband, phone and cable services, or retail utilities in deregulated markets like Texas or the U.K. that compete for customers, he said. Appliance makers, for their part, could start using Bidgely’s platform to detect changes in power use that indicate aging or malfunctioning equipment, or even to compare and contrast their own appliances’ efficiency against those of its rivals, he said. It will be interesting to see how Bidgely’s method of disaggregating loads at the meter itself compares with other methods aiming at the same information. Stanford has been doing a lot of research into these different energy disaggregation technologies (PDF), but much work remains to be done -- Intel, for one, has been testing its own in-home plug-level disaggregation technology for years now. At the same time, there are other ways to combine masses of data and advanced analytics to yield house-by-house energy insights. Startups like Nest Labs and EcoFactor are combining smart thermostats and cloud-based analytics to diagnose home heating and cooling inefficiencies and tune thermostat settings to deliver energy savings. All of these new technologies are competing for a market that doesn't really exist yet, of course. Home energy management technology is still limited primarily to utility pilot projects and those rare homeowners who have both the money and the interest to install their own power monitoring and control gear. Taking the cost of sensors out of the home energy equation could be one way that energy disaggregators like Bidgely help expand the market beyond those experiments and early adopters. But their real test will be simple: are they accurate?